Whether your child is graduating from high school or college, this is a moment worth celebrating. As your child prepares to complete their studies, you will be busy, too, especially if you plan on throwing a party. The good news is that a graduation party planner is ready to help. Here are three elements a perfect graduation party will include. Every party should have food. When you are throwing a party for teenagers and college students, take into consideration their age and stage in life. Sit down dinners are great for formal events and adults. Young adults may enjoy them, too. For a light-hearted graduation party, though, you might consider fun party foods like bite-size desserts, a hot dog cart and nacho bar. A s'mores bar, waffle sundae station and taco bar are other options. Creative party planners might also suggest a cafe bar, candy sushi and lemonade station. Parties tend to be more fun when there is entertainment and dancing, especially if the party is for teenagers and young adults. 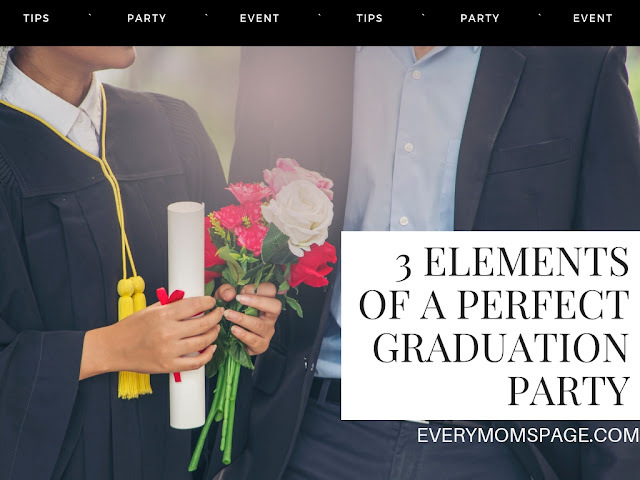 A graduation party planner has connections to local artists and entertainers whom can be hired for your event. The planner can also take a look at the space where the party will be held and make the necessary plans to set up a dance area. Your planner can work within any constraints and parameters that may be present, too. If the noise needs to be shut down at a certain time due to neighbors and noise laws, or if the dance area needs to be cleaned up within a certain window, it will be. A fun add-on for the graduation party you are throwing is some sports and leisure activities. An air hockey table, for example, can be brought and set up in an area with enough elbow room for fun play. Bean bag toss, foosball tables and inflatable hoops are other options. A graduation party planner can help make your event less stressful, more fun and a hit with the honoree and guests.